Home Vocabulary How to build vocabulary to start thinking in English? How would you know that you are good at speaking English? One way to tell is when you can speak in English with a native English speaker, you must be good at it. Another way is to sit down and try to write in English. To put it simply, if you can compose your ideas in English, then you must be good at it. 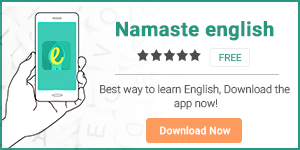 Whether its speaking or writing, both of them require you to ‘think in English’. 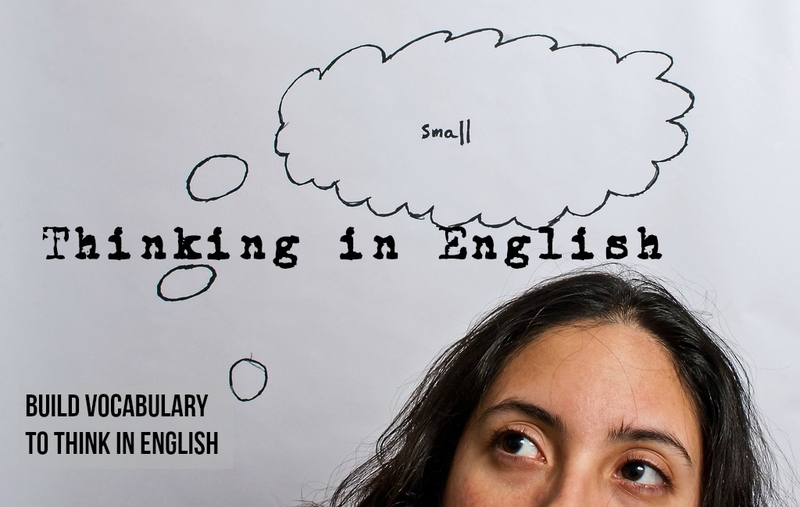 Now what does ‘think in English‘ mean? To speak or write English better, you have to explain to yourself what the words (whether its an English sentence spoken by someone or English text you read somewhere) mean. How do you go about it? Step 1: You first translate them into a language that you know to understand them Step 2: then translate your response back from your native language to English. Thinking in English simply means that you do the necessary translation and re-translation in your mind first before speaking or writing. The lack of vocabulary can make the thinking process difficult. If you don’t have the correct words to express yourself in English, then it can affect either of the above mentioned steps. We have some tips for you to overcome this difficulty. Tip 1: Never learn words separately. Always try to learn vocabulary in pairs. This means that you should look for words and phrases that go along with the word you want to know the meaning of. This helps you learn multiple words and phrases in one session itself. For instance, if you want to know the meaning of the world ‘victimise‘, try to look for a sentence that uses this words with other words/phrases. In this case, you would find sentences using the word victimise like ‘deliberately victimise’, ‘falsely victimise’, ‘unfairly victimise’. Thus, by following this tip you did just not learn the word victimise but also other words like unfairly, deliberately and falsely besides the correct usage. Tip 2: There are times when even while speaking to yourself, you find yourself not knowing exactly how to say something. In this case, all you have to do is to remember the confusion. And when possible, just look for an appropriate word for that confusion in your dictionary, write it down and follow Tip 1. Tip 3: When you simply don’t know a word in English, leave it and try to frame a sentence explaining it. For example, let’s say you don’t know what the English word for disinfectant. You can explain what that is by saying “This is a thing we use for cleaning bathroom floors”. More often than not, the other person or the reader would understand what you mean. However, don’t just leave it at that. This is just a hack to escape a mental block or an awkward situation. The goal is to learn new words. After you are done, follow Step 2 i.e. write the confusion down and look it up. Previous articleThings you need to know before building English vocabulary?